The Banjo Man Neal James died from natural causes on Friday, February 1, 2019. He lived in Stanford, Kentucky. Speaking to the Lexington Herald-Leader, Washington County Coroner Len Benedict said that in the time leading up to his death, James had been in-and-out of the hospital with issues relating to his heart. In a YouTube video uploaded shortly before his death, James said that he had “seen the other side” following a heart attack. Went to Lincoln County High School, Stanford, Kentucky. Neal James worked at the Isaiah House Treatment Center, which “is an outpatient, intensive outpatient and residential treatment program with a Gold Standard of care for men” who are recovering from addiction, according to the center’s website. 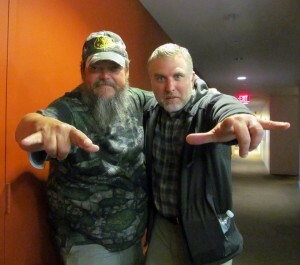 James was an Animal Planet friend of Finding Bigfoot’s Cliff Barackman. Neal James wrote a Bigfoot-related song, “Squirrel Brady Seen a Bigfoot,” for his friend named “Squirrel.” Click here. 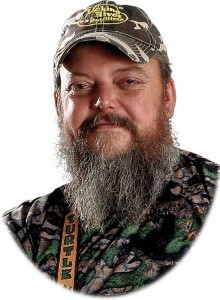 The Call of the Wildman (October 30, 2011 – September 14, 2014). Call of the Wildman was an American reality television series that aired on Animal Planet from 2011 to 2014. The show followed the exploits of Kentucky woodsman Ernie Brown, Jr., nicknamed “The Turtleman”. Aided by his friend, Neal James, and his dog, Lolly, Brown operateed a nuisance animal removal business, catching and releasing nuisance animals. The series was primarily filmed near Brown’s Lebanon, Kentucky, home. Brown began catching snapping turtles from ponds near his home at the age of 7. He came to the attention of Animal Planet producers in part after an episode of Kentucky Educational Television’s Kentucky Afield series that featured his bare-handed turtle-catching techniques was posted on YouTube and went viral. After personally visiting Brown and doing some initial filming, network executives decided to produce a 12-episode season of the series with the working title The Turtleman of Wild Kentucky. The title was soon changed to Call of the Wildman, a reference to Brown’s distinctive yell that punctuates his actions throughout the series. The series was Animal Planet’s most watched program in the fourth quarter of 2011 and was renewed for a second, 16-episode series that began airing in June 2012. In October 2012, Animal Planet re-released the series with bonus features and trivia information known as Call of the Wildman: More Live Action. 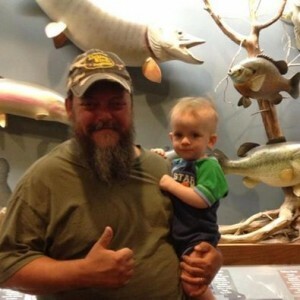 Call of the Wildman has been compared to other reality series featuring individuals from the Southern United States such as Billy the Exterminator, Duck Dynasty, Swamp People, and Rocket City Rednecks. Because it depicts Brown’s spartan existence in the backwoods of Kentucky, some poverty advocacy groups have expressed concerns that it exploits stereotypical views of Southerners as being poorly educated, poorly groomed, and impoverished. Network executives insist, however, that they have received no negative feedback about the program. Season 4 began on August 24, 2014. But after several problems with animal welfare issues, it ended a few months later. James is survived by his wife, Rosemary Pearson James, and apparently one son. 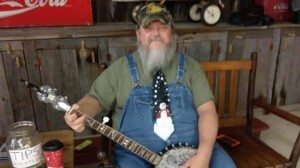 People in Kentucky and all over the world are mourning the loss of ‘The Banjo Man’. 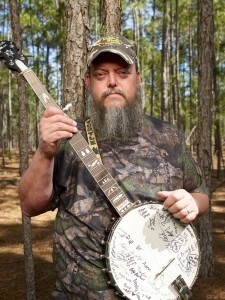 The 55-year-old Animal Planet star was known as “The Banjo Man” on the television show “The Call of the Wildman”. James was friends with “The Turtleman” Ernie Brown Jr. on the show. His friends tell us that James always brought a smile to their faces and had a positive attitude. Funeral services are handled by Spurlin Funeral Home in Stanford. Neal James was 55 years old. Wow! Man I’m really sad to hear of this gentleman’s passing. He was a good man that loved his family, animals and Mother Nature. He also was a true friend to those he called a friend. Kentucky & America lost a great patriotic citizen. R.I.P. MR. NEAL JAMES.